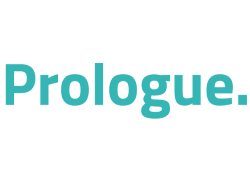 Prologue Group is a software editor and service provider in the fields of cloud computing, dematerialization, IP communications, virtualization, and application engineering. Mainly present in France, Spain, and North America, Prologue has a long established history of over 20 years as a supplier of business application development tools and platforms for various market segments (administration, health, finance, real estate, banking...), as well as a significant experience in the development of cloud computing brokerage tools as defined by the NIST reference architecture. Founded in 1986, Prologue has approximately 250 employees world-wide and a world-renowned customer base.